A gaming laptop that can provide hours of fun for both casual and serious gamers can be had below $800 these days. Either discounted from year old models or new models benefiting from the reduced production cost from lower RAM and hard drive costs, gaming laptops which are among the most powerful laptops in the market generally become more affordable to a wider market thanks in a stable economy. Just to guide in your search for a gaming laptop within the $800 price point, here are some things you should consider. If you want to play the most demanding games seamlessly the highest game setting on the highest HD resolution of 1920 x 1080, don’t bother to continue reading this. 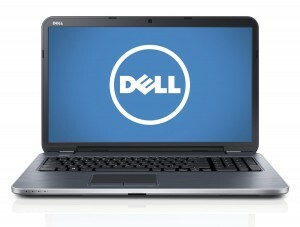 You won’t find a laptop in the $800 or below MSRP or discounted price points. But if you have a more reasonable expectation playing even the most demanding games at medium game setting at a more modest HD resolution, there are several excellent specimens at that price point. Several laptops are in the same price point but not all have the necessary specifications that make them suitable for video gaming enthusiasts. A powerful laptop that can be classified as a gaming laptop is often heavier and bulkier than most in the same price point, while some of the slimmer and lighter laptops costing more may not have the same gaming muscle. The CPU: Today’s dual and quad core CPU engines are more than adequate to play just about all the games released to date regardless of clock speeds. Several recent games already take advantage of the multhreading capability offered by these multi-core processors with some also capable of 64-bit execution where 8MB system RAM and above can be fully maximized. 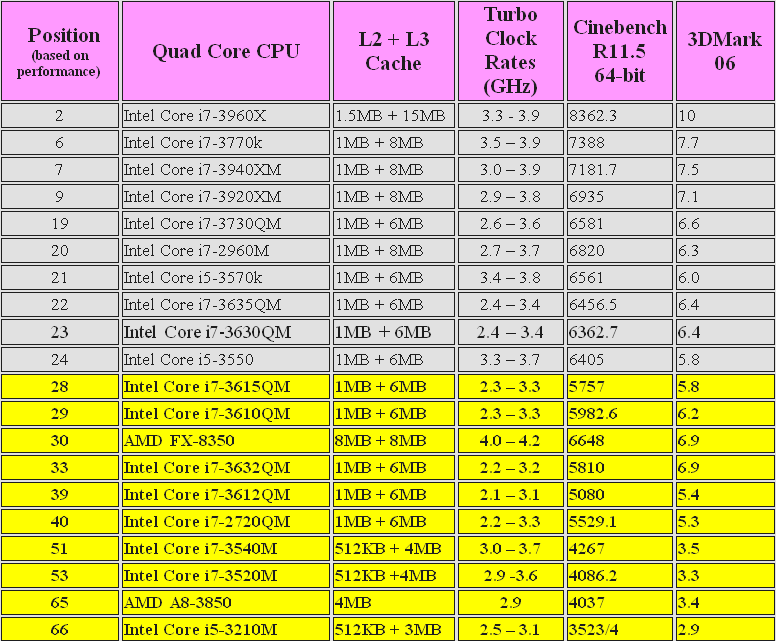 Table 1 shows some of the more common quad core engines you can find in laptops at this price point. Lower quad core engines have lower L2 and L3 cache memory which aids in improving data fetching speeds. However, because of the incremental difference is numeric computational power among them, laptops using the least powerful quad core processor but coupled with a powerful GPU perform better in gameplay than one with the most powerful CPU but using a weaker GPU. System RAM: A lot is said about being better on the side of plenty when it comes to system memory. If memory is cheap which it usually is, that’s not a problem. We recommend no less than 4GB RAM for those using 32-bit OS which can only recognize 4GB of addressable memory, but 8GB with two separate 4-DIMM modules is better to maximize the dual architecture of multi-core processors and optimizes a 64-bit OS. Most laptops use a compromise 6GB single DIMM module and should be able to allow you to upgrade to 12GB at the least with another module. The GPU (Graphics card or engine): More than the CPU, the GPU determines how seamlessly (no frame freezing, no video frame skipping or judder and no audio synchronization issue) a computer can play a game at a given game setting or screen resolution. Most games will play at their lowest configuration play settings and lowest screen resolution, but not those complex demanding RPG and FPS games released recently like Battlefield 3, Far Cry 3 or even those released earlier like Skyrim: Elder Scrolls V. You will never see a Class 1 category video card such as the upscale NVidia GeForce GTX 680M, AMD Radeon HD8970 or even the lower end among Class 1 GPUs such as the GeForce GTX 660M or the Radeon HD 7850M in a gaming laptop at this price point. In nearly all gaming laptops at this price point, you’d be lucky to find one using a top-end Class 2, unless it is heavily discounted from a $1000+ price point. 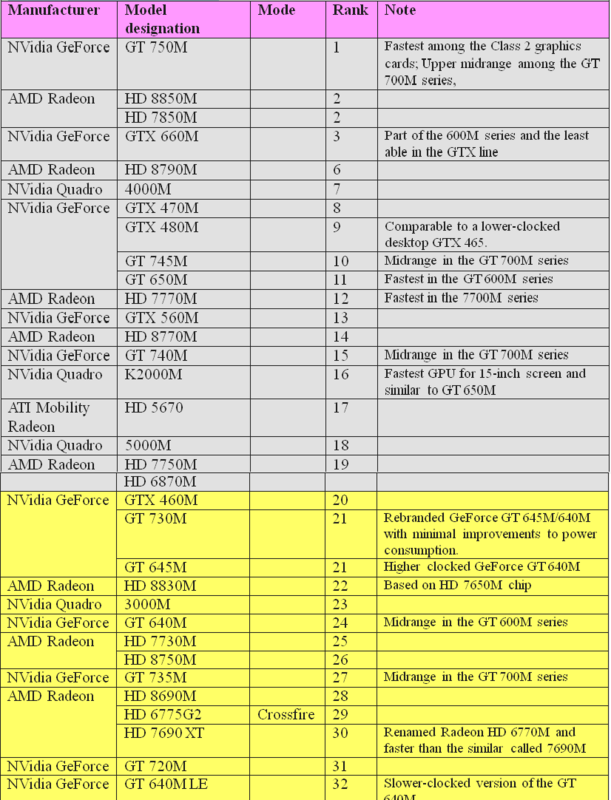 There are more of them using low to midrange Class 2 graphics cards such as those highlighted in Table 2 below. There are many gaming laptops at this price point using Class 3 GPU but any laptop using anything lower than the Class 3 Intel HD 4000 Graphics do not quality as a gaming laptop from our point of view. Stay clear from these. A word about in-built graphics card. Our minimum gaming GPU standard is Intel HD 4000 Graphics which is built-into the Intel Ivy Bridge architecture used in the i7 quad cores. Some laptops use this GPU exclusively while other use another discreet GPU which can be switched to using NVidia Optimus technology which allows you to use the lesser in-build GPU for less graphics-intensive applications. At any price point, a discreet or separate GPU is always preferred, especially one that has its own video RAM. On the other hand, in-built GPUs from either Intel or AMD share the video memory requirements with the system RAM, often allocating 500MB to 1GB of the RAM. Table 2: Middle ranking laptop graphics cards in the Class 2 category. Highlighted rows indicate models of graphics cards some of which can be found in affordable including those at the $800 price point. Excellent display screen quality: With all things equal, a gaming laptop that can play Battlefield 3 seamlessly will be more expensive in one that has a 17-inch screen than a 15-incher. There are few gaming laptops in the $800 price point sporting a 17-inch screen, while some of the most muscled use only 14-inch screens with the lowest 1366 x 768 HD resolution. If you can enjoy playing games on a 3.5-inch iPhone or a 10-inch Tablet, small screen gaming laptops shouldn’t be a problem. If it has an HDMI or VGA-out port, which most do, you can always connect them to a larger monitor or HDTV set. Screen displays in most laptops use a generic LCD TN (Twisted Nematic) TFT screens that have over the years benefitted from improved contrast ratios, deeper blacks, and faster response times that their predecessors 2-2 years back. You may like the consistent color accuracy across a wider viewing angle in IPS (In-plane switching ) LCD screens like the one used in Apple iPads and iPhones, but they can be an overkill when used by gamers who watch the screen directly centered. Solid State Drive (SSD). Everyone loves to have all the largest data storage space they can afford and with prices falling progressively on hard disks, it is not surprising that most laptops today have no less than 750 GB SATA drives as a basic offering that anyone can readily upgrade to a higher 1TB or 1.5TB. But serious gamers who know the rewarding benefits of having faster game loading and faster entry to higher game levels and new map textures will want to have a solid state drive (SSD) on their laptops. This is still an expensive option with a 128GB SSD costing about the same as 1TB hard drive. Several laptops, across various price points sport a second drive bay and users can complement their HDD with an SSD where they could easily transfer the games for improved performance. At the $800 price, some have a second drive bay for this purpose. Data connectivity: With online games, it pays to have an in-bui8lt WiFi feature so that serious gamers can easily bring their laptops in WiFi hotspots and start playing. If you want to use your large flat panel HDTV sets, a gaming laptop can benefit from having a HDMI port to connect to any of these. 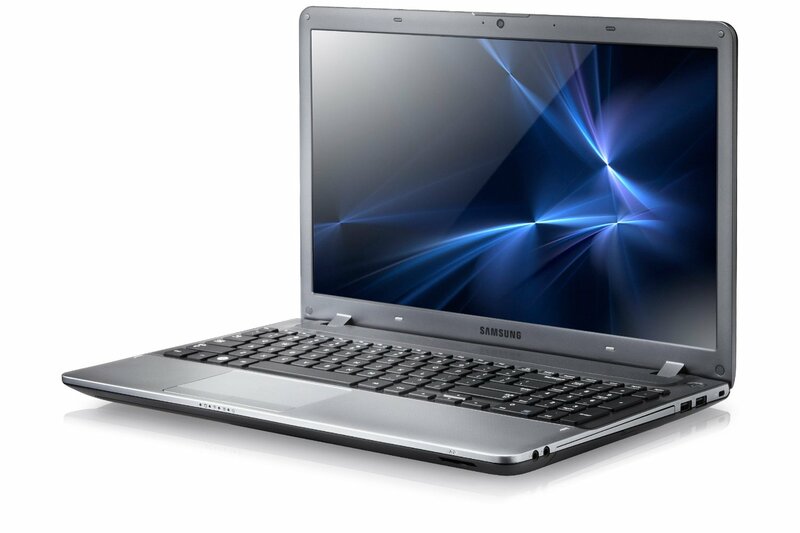 Most if not all gaming laptops are also multimedia laptops and have these features as basic. USB connectivity, whether in version 2.0 or 3.0 is also a common feature. Optical drive: Games are mostly downloadable over the internet but there are still many in their shrink-wrap retail versions that require you to load a DVD on your laptop to run them. 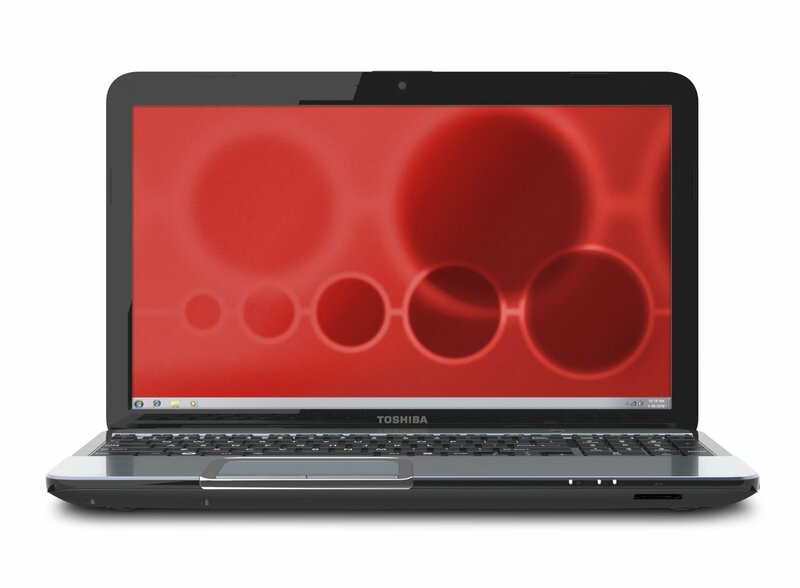 In this case, a laptop with the standard multi-format optical drive that can read or write into the disk is standard in most laptops at this price point. But this is not critical for those who purchase their games online. Finding a gaming laptop that offers value for the money can be made less challenging when you know what you want and what compromises you are willing to take. Hopefully the above considerations can help you make a rewarding decision in getting a reasonably powered gaming laptop within your budgetary constraint. 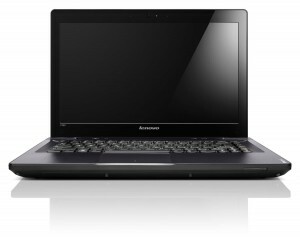 Here are a few of the laptops available online that we consider worth their prices at or below the $800 price point. With a refurbished price of $799.99, this Lenovo Y480 established a performance standard for a gaming laptop at or below the $800 price point. A smallish screen size is perhaps the only drawback in this model, but let there be no mistake, it packs a wallop for its 14-inch LED backlit screen with 1366 x 768 HD resolution and driven by a midrange Class 2 category NVidia GeForce GT 640M-LE graphics card with its 1GB DDR5 video RAM. That means demanding games like Battlefield 4 and Far Cry 3 can be played without any hiccups at medium game settings at its default resolution. 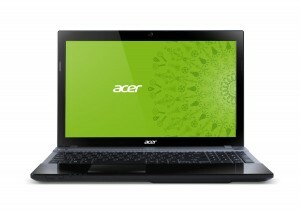 It is powered by the Intel core i5-3210M with a 3MB cache and clocked at 2.5GHz and supported by a 6GB DIMM system RAM. Weighing a backpack –friendly 4.8 lbs, this Lenovo comes with a standard 750GB SATA hard disk running at 5400 rpm and DVD/CD optical drive. 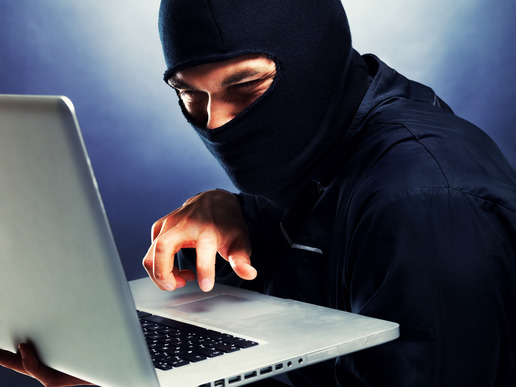 It is bundled with a 64-bit Windows 7 Home Premium edition. 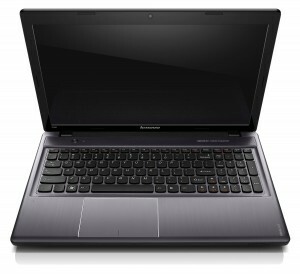 At $659.99, discounted from its list price of $749.99, this Lenovo Z750 sports a typical 15.6 inch LED-backlit display with 1366 x 768 resolution. Under the hood is a 2,9 GHz quad core Intel i7-3520M that enjoy a 4MB L3 Cache and an in-built Intel HD 4000 Graphics considered the minimum GPU engine for a gaming laptop. This is actually on the low end of a Class 3 graphics engine that can play several demanding RPG and FPS games but only low game settings at low HD resolution such as the recently released Tomb Raider (2013) which play at 39fps at low game setting. Games like Crysis 3, Hitman: Absolution, Assassin’s Creed III, Ghost Recon, and Max Payne 3 will not play at all. Casual gamers should not worry but serious ones will. It does have a 500GB SAA drive running at 5400 rpm and a standard DVD/CD optical drive and is bundled with Windows 8. Priced at $699.99, this Aspire V3 model sports a large 17.3-inch LED-backlit LCD display with 1600 x 900 HD resolution and driven by a discrete midrange Class 2 category NVidia GeForce GT 730M graphics engine which is slightly more muscled than the GT 650M or GT 645M GPU. With its own 4GB DDR 3 video RAM, this Acer can play sophisticated video games like Battlefield 3, Far Cry 3 and Hitman: Absolution seamlessly at medium game settings but on a reduced resolution of 1366 x 768. 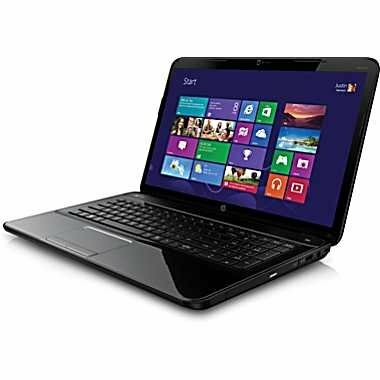 Powered by a quad core Intel Core i5-3230M with a 3MB cache and clocked at 2.6 GHz, it is configured with a 6GB DDR3 system RAM and equipped with a dual drive bay, one of which has a 750GB SATA hard drive running at 5400 rpm. That means it can support another hard disk drive for data storage expansion and for serious gamers, a solid state drive. At $799.00 discounted from its $849.99 MSRP, this Aspire model provide excellent value despite being almost a year old and replaced by a newer model (V3-571G-9683 at just $831.26). Some online computer shops price it lower that $767.85. It sports the standard 15.6-inch LED backlit screen with 1366 x 768 HD resolution driven by a midrange Class 2 NVidia GeForce GT 640M graphics engine with its dedicated 2GB video RAM that makes is muscled enough to play the most demanding games like Far Cry 3 and Hitman: Absolution with ease at medium game setting and at the default resolution. 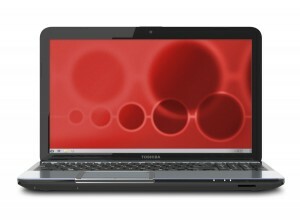 Under the hood is the quad Core Intel i7-3615QM clocked at 2.2 GHz and supported by a 6GB system RAM. 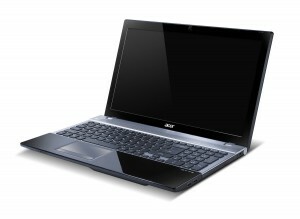 With a 500GB SATA hard drive and an 8x DVD/CD optical drive, its slim 1.3-inch body weights 5.7 lbs. Priced at $749.99 discounted from its $821.99 price perch,this is one of the view gaming laptops at this price point with a class 2 gaming muscle sporting a 17.3-inch LED backlit LCD screen with a medium 1600 x 900 HD resolution. That would be great for playing high definition movies and some of the most demanding games at low to medium game settings, thanks to its AMD Radeon HD 8730 M graphics engine with its own 3GB DDR3 video RAM. Some of the newer ones should have no problem when playing at medium resolution with reduced HD resolution at 1366 x 768 resolution. Powered by a quad core Intel i7-3537U with 4MB L3 cache and clocked at 3.1 GHz, the Dell has 8BGF of system RAM, a 1TB SATA HDD running at 5400 rpm, an 8x DVD optical drive and comes preinstalled with a Windows 8 Home Edition. Powered by an AMD quad core A8-4500M clocked at 1.9GHz that can be accelerated to 2.8 GHZ, with a 4 MB L2 cache and supported by a 6GB DDR3 SDRAM, this $488.99 gaming laptop sports a 17.3-inch BrightView HD display with 1600 x 900 HD resolution and driven by a competent Class 3 category AMD Radeon HD 7640G graphics engine built into the A8 CPU and is 20% faster than our minimum Intel HD Graphics 4000. This gives it enough gaming muscle to play many of the demanding games released in 2012 at low to medium game settings, with the exception of a handful of games such as Elder Scrolls V, Hitman: Absolution, and Assassin’s Creed III. This Pavilion comes with 500GB SATA hard disk running at 5400 rpm,. It does not have an optical drives but comes bundled with Windows 8. The Aspire V3-571G-6622 uses a third generation Intel Core i5 2450M processor clocked at 2.6 GHz capable of up to 3.2 GHz with Turbo Boost technology. It is paired to a graphics engine from Nvidia, the GeForce GT 730M with its own dedicated 2 GB DDR3 video RAM on top of a single modules 4GB DDR3 RAM upgradable to 8 GB on the second bank. Like other notebooks with a separate graphics card, this notebook outperforms any cheaper notebook that sports an integrated CPU +GPU in one chip, check out our indepth review of Acer Aspire v3-571G-6622. $800 is a sweet spot for gaming laptop market, not too low and not too high. 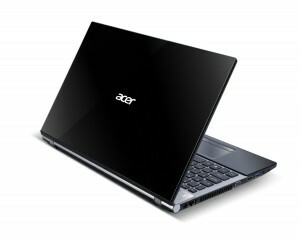 The items reviewed are a mix of mid to strong laptops some emphasizes gpu over cpu, some cpu over gpu. CHECK IT OUT!